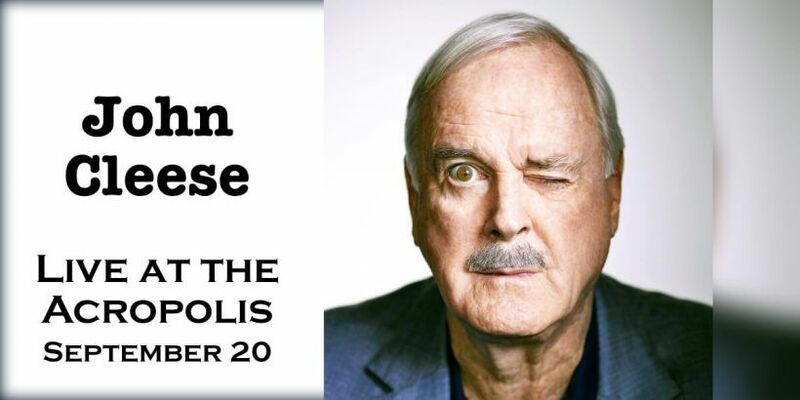 British actor/comedian John Cleese will be performing at the Odeon of Herodes Atticus (Irodion) on 20 September in Athens. The show, titled “John Cleese Live at the Acropolis”, marks the 80th anniversary of the British Council in Greece and promises to bring something a little different to the dry writhe humour that the famous comedian is known for. Mr Cleese has said that he is planning to bring something truly different to the ancient theatre. The performance is a pit-stop to the comedian’s performances around the world. His show, “Last Time to See Me Before I Die”, has been sold out at venues across the US and Europe where people can’t get enough of the iconic performer who wrote comedy history with the Monty Python gang, and is also known for his role in “Fawlty Towers” and films like “A Fish Called Wanda”. Mr Cleese is also known for his political activism and was a supporter of Brexit before announcing six months ago that he will be leaving Britain to settle permanently in the Caribbean.